Original plantation lands stretched from Farmfield Avenue off US 17 to Folly Road. Current status  The house is privately owned; the land has been subdivided into housing developments. Although a successful businessman in Charleston, William Ravenel was interested in agriculture. He purchased property in St. Andrews Parish to cultivate and called it Farmfield. There was a small farmhouse on the property at Ravenel's time of purchase (1, p. 2). Circa 1854  William Ravenel had a larger house constructed at Farmfield Plantation. 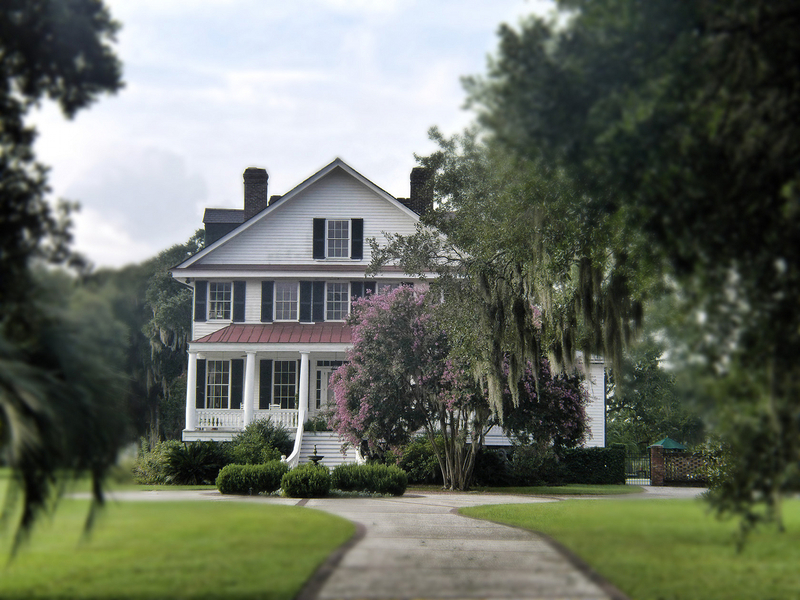 Over the years, the Ravenel family spent more and more time at Farmfield Plantation (1, p. 2, 3). Circa 1888  William Ravenel passed away. Farmfield remained in William's family and many of his 11 children spent several months at the plantation each year (1, p. 3). 1920s  Arthur and Harold Ravenel (probably William's grandsons or great-nephews) ran a commercial dairy at Farmfield Plantation (1, p. 3). 1982  The house was placed on the National Register of Historic Places. It was one of the few houses in St. Andrews Parish to survive the Civil War and was owned by Mrs. Louise R. Ravenel at this time (1, p. 1). After the Civil War, William Ravenel farmed very successfully.